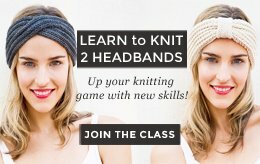 Stashbust and Knit the Braided Headband! If you’ve been knitting for awhile, you’ve probably amassed a large and eclectic collection of leftover yarn – little balls that didn’t quite make it into your project. These little orphaned balls sit, completely ignored, somewhere in the deep corners of your closet or with the dust bunnies under your bed. If you’ve been knitting for years then Lord help you I can’t even imagine how many garbage bags or Rubbermaid bins you have filled with leftover yarn. 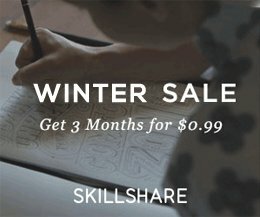 This collection is what the knitting community – the knitelligencia? – fondly call “your stash.” The drug reference is undeniable. Knitting is an addiction! But before I start philosophising like a freshman about “Knitting as addiction in the twenty-first century,” I have to stay focused! 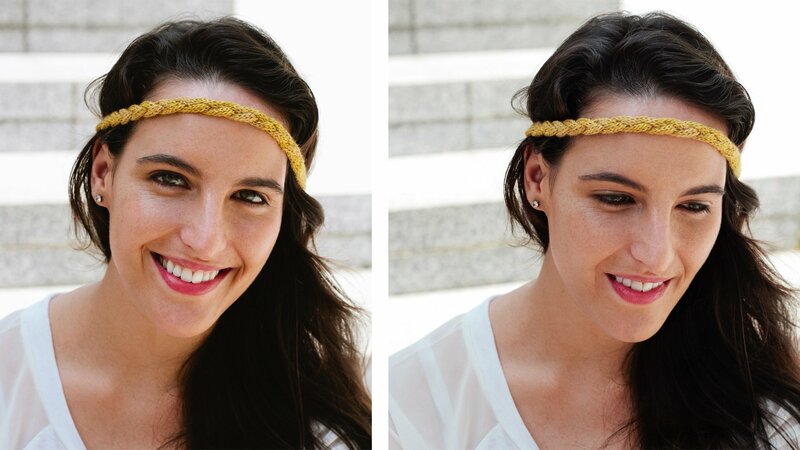 Today’s post is about the Braided Headband! The Braided Headband is a very useful way to stashbust. That is, to use up your leftover yarn! 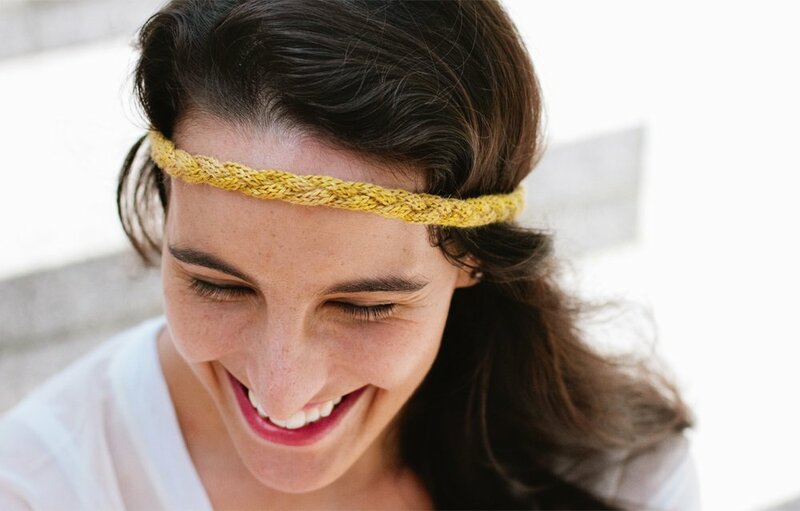 It uses very little yarn (perfect for those Orphan Annie yarn balls) and makes a chic and useful headband. 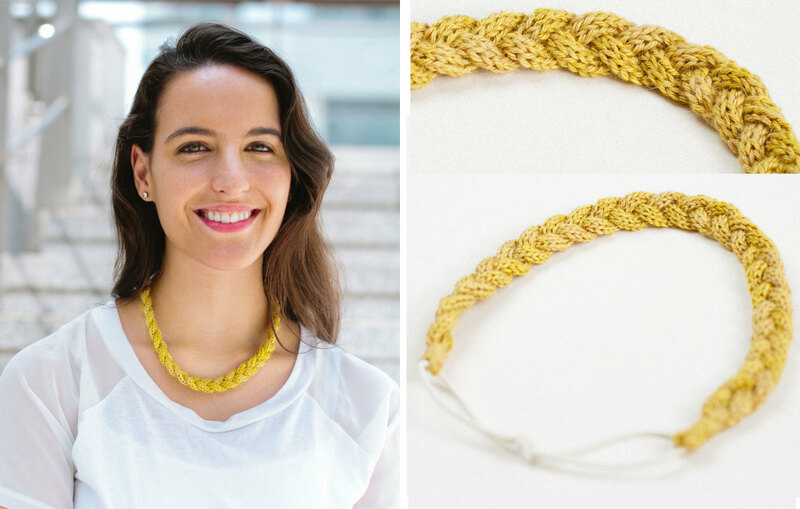 You can wear it Olympic-Athlete-style across the forehead or pushed up against your hairline or even down around your neck like a statement necklace. If you’re anything like me, your hair is constantly in your face – when you’re driving, when you’re working out, when you’re cooking. Basically, all the time. Headbands and hair elastics are a godsend. Seriously, how did women survive before elastics? Ribbons?! Oh man. Grab the one-page pattern here and check out the video tutorial above. 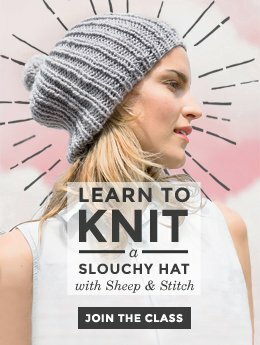 It walks you through how to knit an i-cords and how to neatly attach your headband to an elastic (or two). Oh, and how to braid! Thanks for the awesome post! I have so many random, loose pieces of yarn lying around, and I’ve been trying to figure out what to do with them. Sometimes I’ll use them to make little collars for my cats, despite them never being too keen on the idea! However, I think this will be a great project to try! Oh my goodness! They sound adorable! I can see it now: grumpy cats in cute collars. Ah, the meme-worthiness of this is incredible!